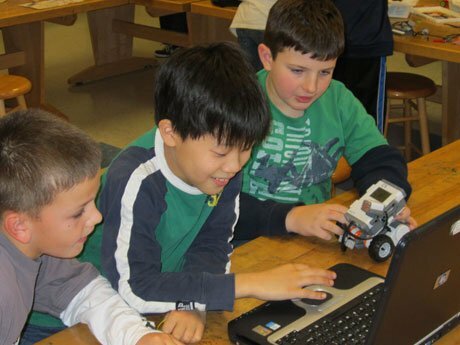 Terrific Scientific Robotic Programs uses LEGO® bricks, KNEX, LEGO® Mindstorms, and MORE! that emphasize a mixture of STEAM (Science, Technology, Engineering, Art, and Math) and great tools that foster imaginative thinking. Our programs are designed for youth 5-14 years old. Science is, by its nature, inquiry based. Inquiry is an approach to learning that utilizes discovery and scientific thinking processes to explore knowledge and learn skills. In order to achieve this, facilitators of inquiry based learning must create an environment rich with experiences that allow learners to act on their own curiosity. 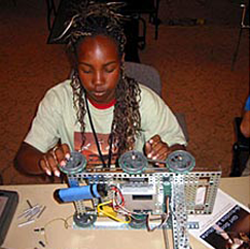 Youth need experiences that will stimulate their thinking and provoke questions (inquiry). Such experiences will help develop critical thinking abilities. This is what happens in our programs as robots are built! Our after school enrichment program consists of weekly one hour sessions that last for 8-14 weeks (depending on location). Classes are conveniently held on your child’s school campus, and start immediately after school ends. 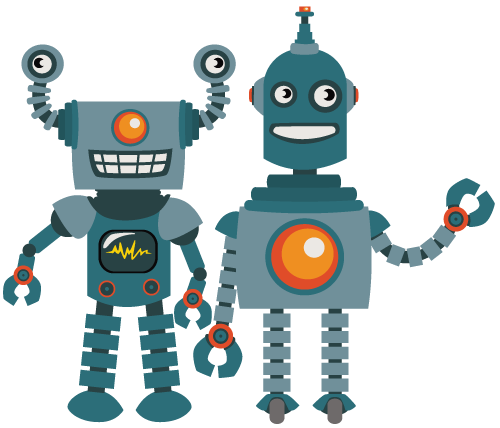 In this class, we introduce engineering, robotics, coding, and technology through fun, hands-on, project based activities geared for young inquisitive minds! Young engineers learn to ask questions, define problems and create solutions using teamwork while learning a variety of scientific concepts and having loads of fun! Using “Dot & Dash” robots, K’NEX, LEGO® WeDo™, Snap Circuits, KEVA Planks, and more, students build 3D models, structures, and robots, and practice the basics of coding with visual drag-and-drop software. Projects are DIFFERENT fall, winter and spring sessions and do not repeat. Jr. Engineers learn entry level engineering, robotics, and coding using LEGO® WeDo2.0™, Dot & Dash, K’nex, and KEVA! 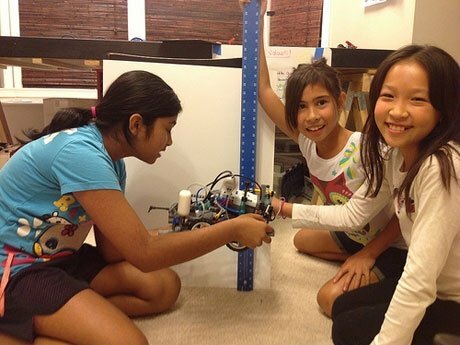 They’ll build and program robots using visual drag-and-drop programming software. Instead of simply “snapping bricks together,” our engineers are encouraged to think critically about how their robot design can be changed and to understand a variety of engineering concepts. They’ll learn about simple and compound machines and building design, creating 3D models as they develop spatial awareness, problem solving and innovation skills and gain an understanding of balance, gravity, form, design, geometry and physics. Our instructors guide and encourage exploration and trial and error field-testing. Projects are DIFFERENT fall, winter and spring sessions and do not repeat. Working in teams using LEGO® Mindstorms™ KEVA, K’Nex, Dash and more, Master Engineers will overcome different robotic engineering challenges each session, engage in architectural engineering challenges, explore simple and complex machines and develop their coding skills. Our classes empower students to ask questions, define problems, and design their own solutions by putting scientific discovery in their hands to test their innovations. Instructors guide and encourage exploration and trial and error field-testing. Projects are DIFFERENT fall, winter and spring sessions and do not repeat. Camp prices start at $245 per week.